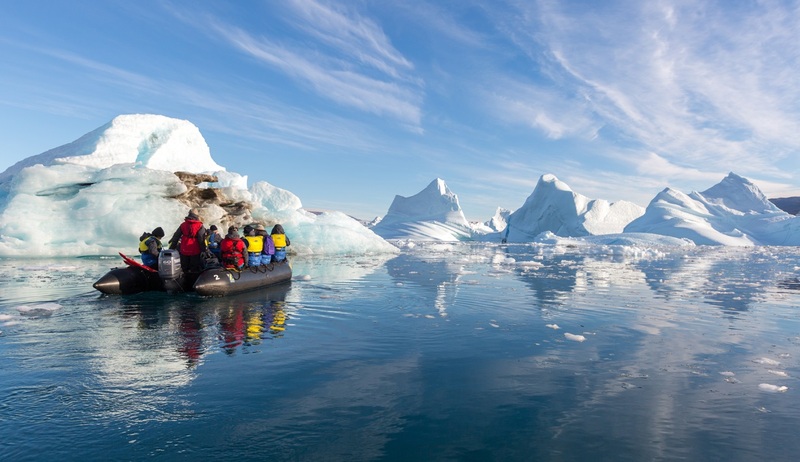 This epic voyage combines 2 of our most popular itineraries, the Spitsbergen Odyssey and the Jewels of the Arctic, to create a fantastic 24 day expedition to discover the very best of the European Arctic. 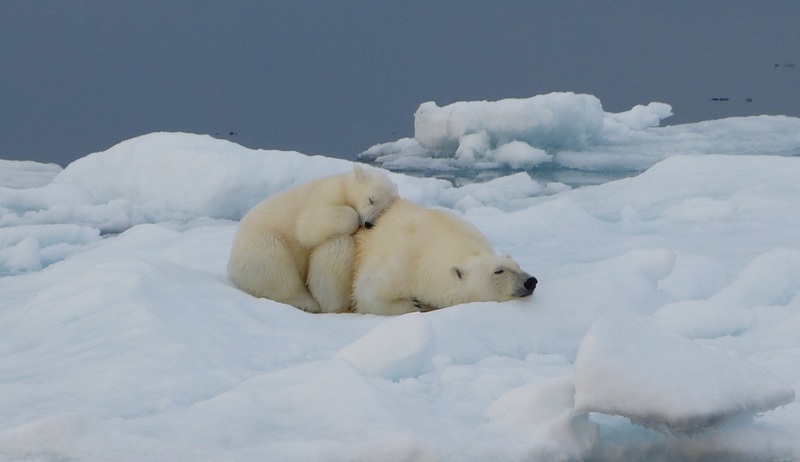 Explore the stunning Spitsbergen coastline with its calving glaciers, towering bird cliffs, pack ice and wildlife such as walruses, reindeer and even polar bears. If that’s not enough you will also get to experience the world’s largest fjord system, calving icebergs, friendly native communities and untouched tundra-covered valleys of spectacular Greenland. Enjoy exciting Zodiac cruises and optional kayaking excursions as you get up close to some of nature’s finest spectacles. 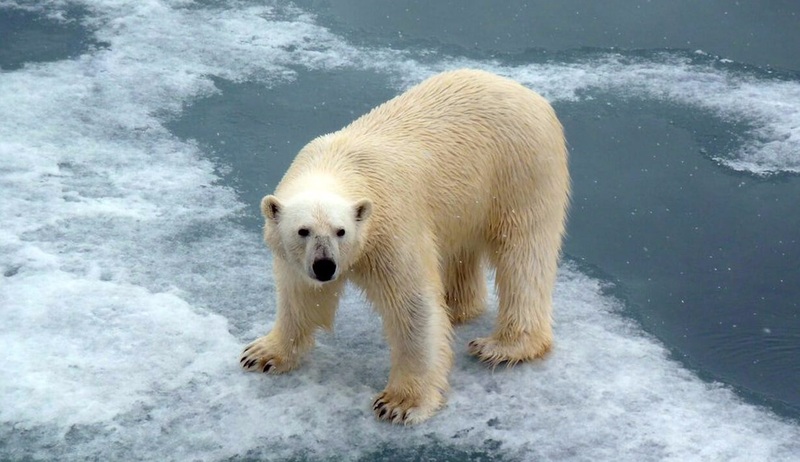 Aim for 80° North on alert for polar bears! Your Arctic adventure begins in Longyearbyen, the administrative capital of Svalbard. Arrive independently and join the included group sightseeing tour of this unique Arctic town, before heading to the port to board your ship. 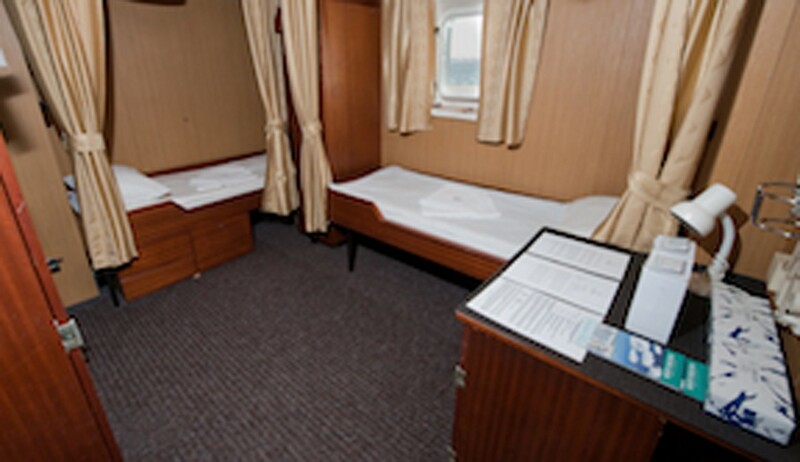 Embarkation will begin in the late afternoon and you can take the time to settle into your new surroundings as the ship sails out of Isfjorden. Early morning will reveal the spectacular aqua-blue ice cliffs of the 14th July Glacier or perhaps the Waggonway Glacier in Magdalenefjorden. 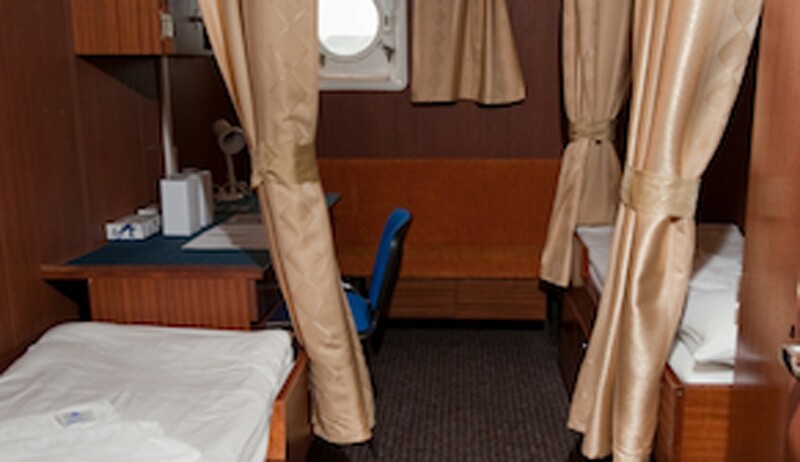 Our itinerary throughout the journey will be dependent on weather, snow and ice conditions, and the presence of wildlife, and your captain will choose the best course each day to make the most of all opportunities. 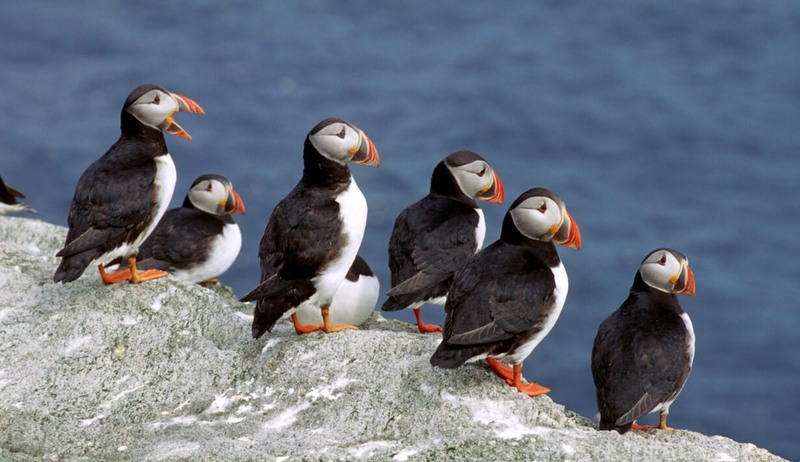 Thanks to the nutrient-rich Gulf Stream, temperatures on the rugged west coast are relatively mild, ideal for the many Atlantic puffins and thick-billed murres that fill the cliffs. 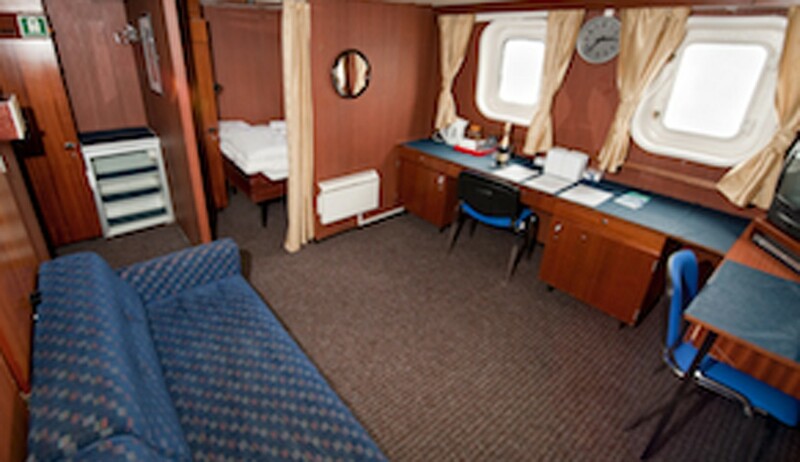 We will explore by Zodiac looking for bearded seals and there may be kayaking and diving opportunities here. 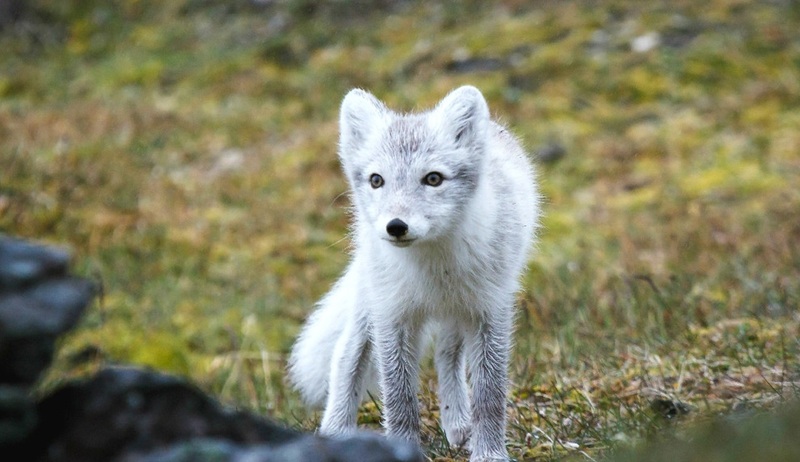 Areas we may explore include Ny Alesund, a mining town turned polar research centre and Amsterdamoya, where we can hike across the tundra keeping our eyes peeled for reindeer Arctic fox. Expert historians will accompany you as you explore the remains of a 350-year-old Dutch whaling settlement and find out more about life in this sometimes harsh environment. Rounding Spitsbergen’s northwest coast, your ship will enter the Arctic Ocean and a world of pack ice. A haven for wildlife, watch as the majestic polar bears stalk the ringed, bearded and harp seals, and beluga whales drift below the surface. Likely stops here include Moffen Island, where walrus haul out on the beaches, and beautiful walks across the tundra reveal exquisite flowering plants including purple saxifrage, yellow spider plants and Svalbard poppies. We will visit trapper huts and continue to keep a look out for reindeer and Arctic fox and, if ice conditions allow, your ship will attempt to cross latitude 80° north, a cause for celebration, before turning south to Woodfjorden. Welcome to the wild side! Frigid Arctic currents sweep around Spitsbergen's northeast corner, lowering air and sea temperatures, and creating a landscape eroded by severe frost. 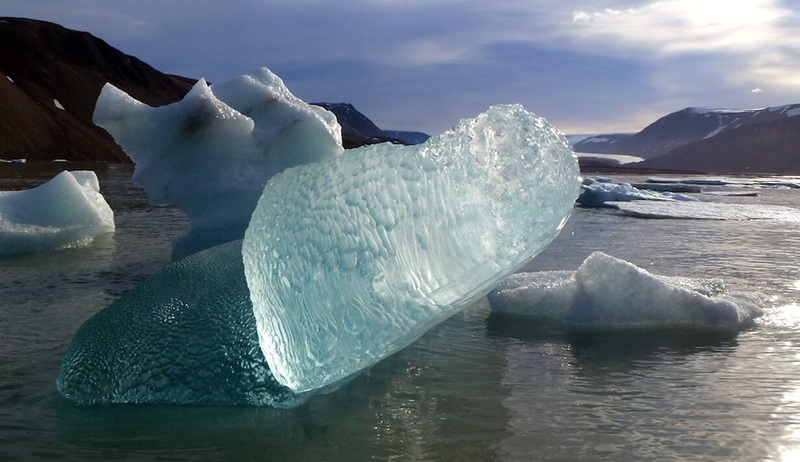 Even in summer, pack ice could bar our way. 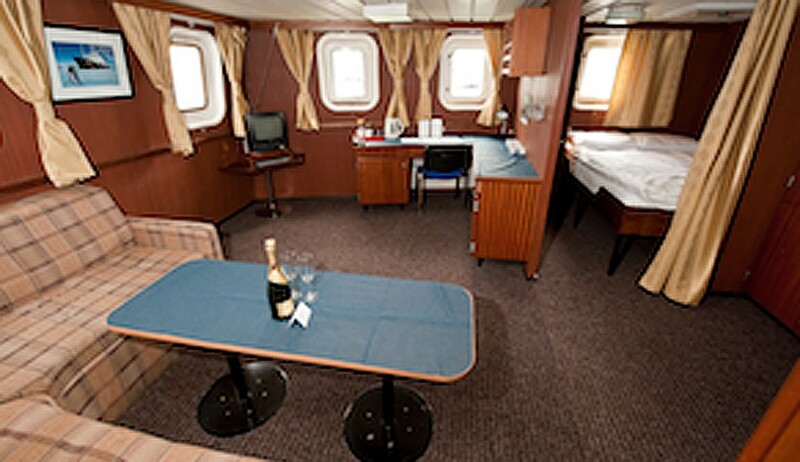 Your highly experienced captain and crew will take advantage of every opportunity for wildlife sightings and adventures. We will attempt to pass through the narrow Hinlopen Strait, between Spitsbergen and the ice-capped Nordaustlandet. You will enjoy Zodiac cruising beneath Alkefjellt, sheer basalt cliffs rising more than 250 metres, literally buzzing with some 200,000 nests of Brunnich's guillemots, possibly with Arctic fox scavenging below. 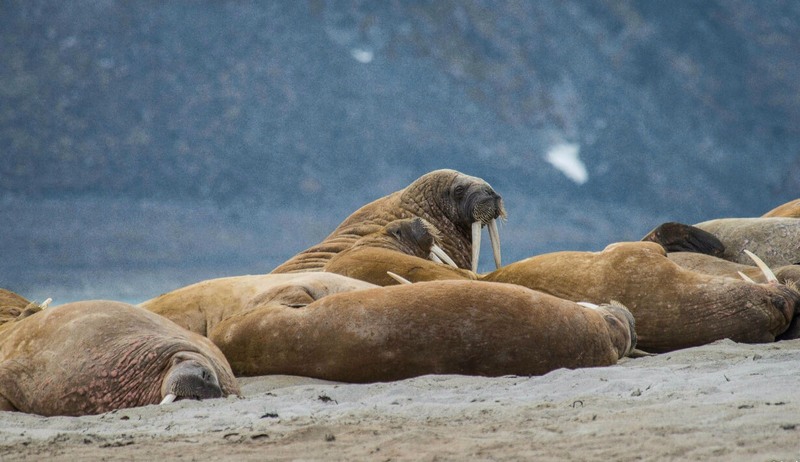 On Torrellneset, we could well approach dozens of sleeping walrus. A true polar desert, the east coast offers walks among stunted glaciers, exposed fossil fields, and tundra, where we watch for Arctic fox, eider ducks and the elusive Svalbard ptarmigan. 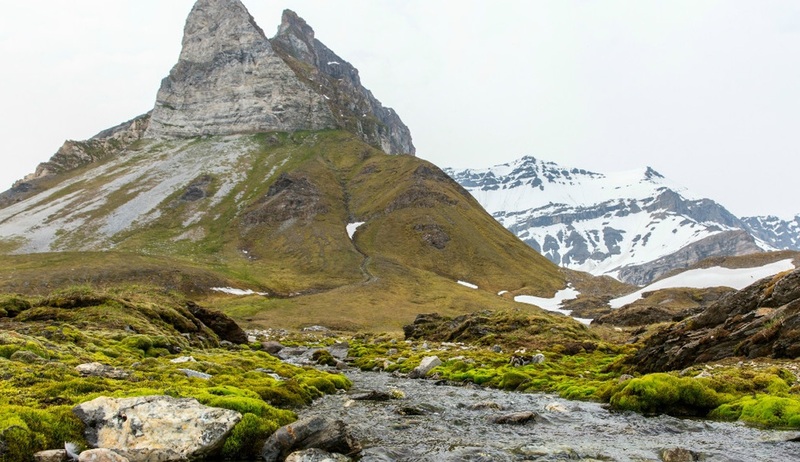 Sailing between Barentsoya and Edgeoya, we cross polar bear migration routes and may visit Sundeneset, a fertile plain covered in green mosses and delicate flowers, including the yellow marsh saxifrage. This is true expedition cruising, where plans are dictated by ice conditions and our desire to explore. 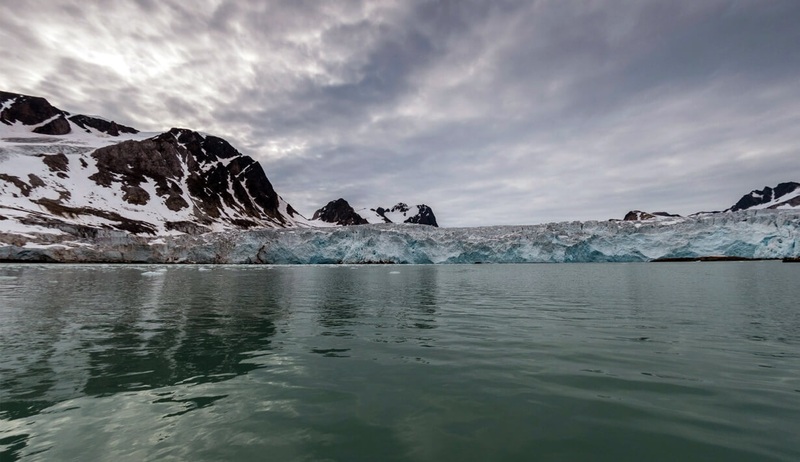 If pack ice allows, we round South Cape, returning to the world of open water and rugged coastal mountains, and sail north toward Hornsund and Bellsund, deep fjords with remarkable glaciers and wildlife. If ice stops us on the east side, we adjust our itinerary, backtrack and delve deeper into the wonders of Spitsbergen's north and west coasts, including a visit to colonies where hundreds of thousands of little auks nest, darkening the sky as they commute to their fishing grounds. 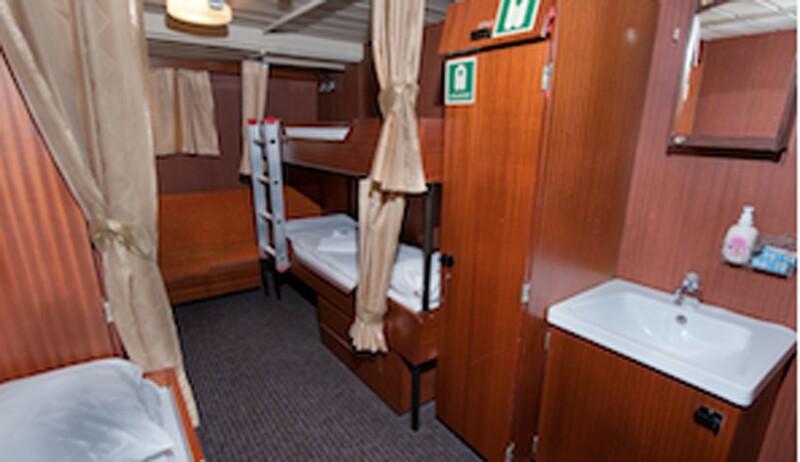 A midnight cruise in Isfjorden leads us back into Longyearbyen where we will disembark the ship in the morning to enjoy a thrilling dog-sledding excursion, before setting sail again in the afternoon for the next part of our adventure. Spitsbergen's northwest coast features calving icebergs, historic whaling stations and trappers' camps. Brunnich's guillemots, little auks and kittiwakes nest in their thousands. 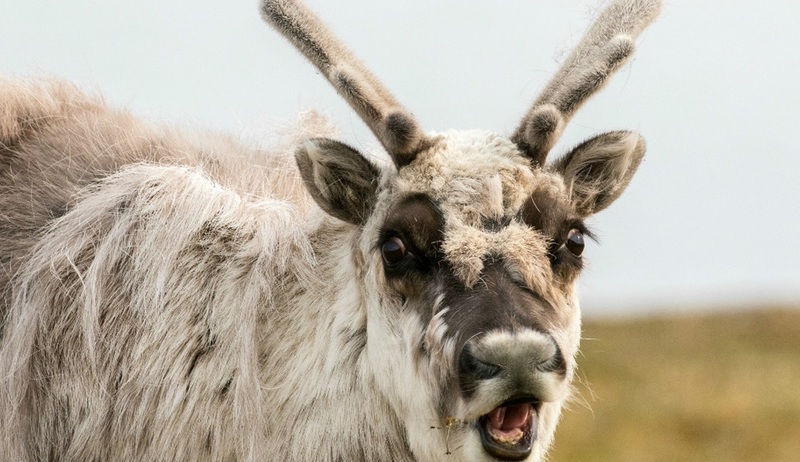 Reindeer roam the tundra and so can you, photographing wildflowers like saxifrage, moss campion, bell-heather and hairy lousewort. 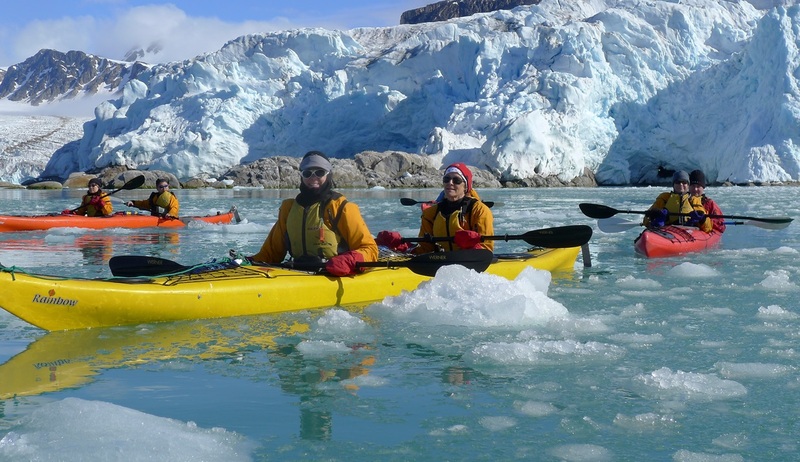 From our Zodiacs, gain fantastic views of ice cliffs, including Monacobreen, one of Spitsbergen's largest glaciers. In the north, there's a good chance of seeing walrus - and possibly even polar bears - on the pack ice. Please note: as this tour is a combination of 2 itineraries, on these 2 days we may visit areas you will have already seen on the first portion of your expedition, however this gives us the opportunity to explore places we may have missed or spot wildlife we may not have seen first time around. We sail through the Polar Basin's nutrient-rich waters, searching for fin and beluga whales, encroaching pack ice, and seabirds. 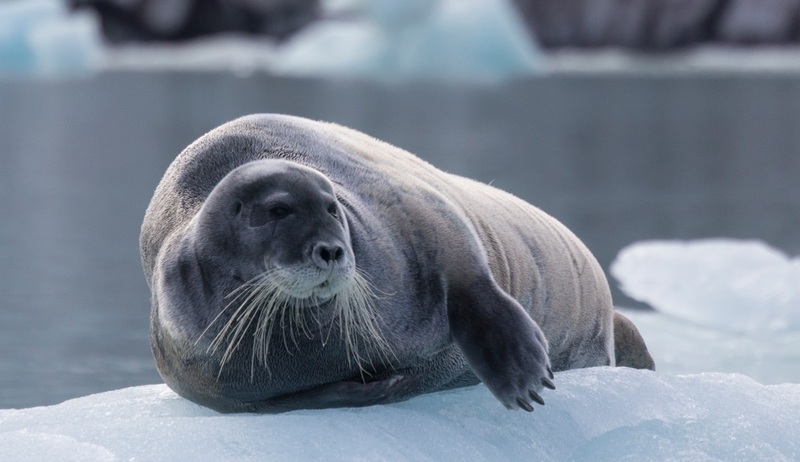 The expert naturalists and guest lecturers onboard will entertain us with fascinating, illustrated talks on European Arctic plants and animals, and epic tales of such early explorers as Nansen, Andree and Scoresby. These are relaxed days, wonderful for getting to know fellow expeditioners and preparing for a landing, if conditions permit, in the world's largest national park - Greenland's northeast coast. The region is home to polar bear, walrus, Arctic hare and musk ox. Watch for ringed, bearded, harp and hooded seals from the Zodiacs. 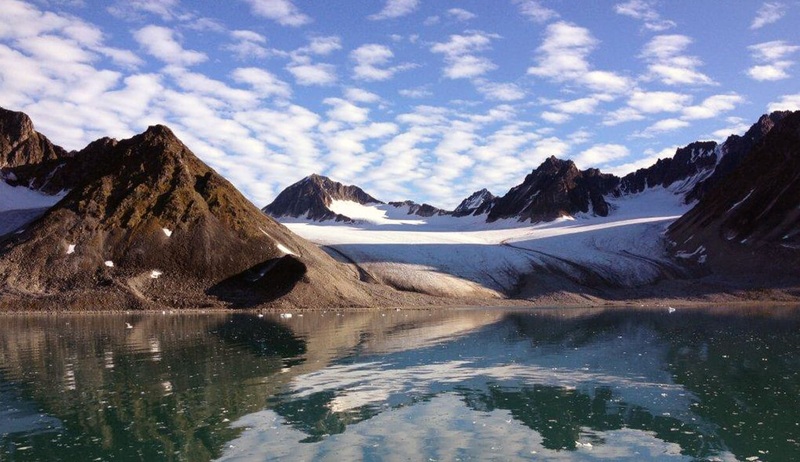 We will spend 2 days exploring the beautiful Scoresby Sund, the world's biggest fjord system. The vast Greenland icecap sweeps down in massive glaciers that calve explosively, creating giant icebergs, and we will get up close to these on exciting Zodiac explorations. Near Sydkap, our Zodiacs weave through a maze of grounded icebergs, some more than 30-metres high, sculpted with deep green tunnels and aquamarine lakes. In Ittoqqortoormiit you will enjoy a warm welcome from Inuit happy to share their culture and explain the challenges of Arctic life. For the kayakers there are ideal paddling conditions here, and you can spend your time weaving through the interconnected waterways, watching for polar bears and narwhals. 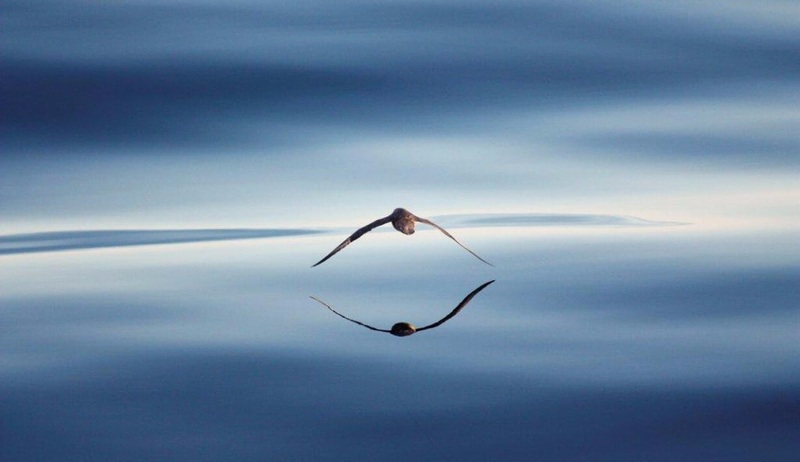 As we sail across the Denmark Strait towards Iceland, there's time to reflect on the unforgettable experiences you will have had. Spend time on deck enjoying the flying antics of northern fulmars and black-backed gulls, and spot dolphins, orcas and other whales in their feeding grounds. Arrival into Reykjavik in the early morning signals the end of our epic Arctic adventure. After breakfast, bid farewell to your fellow expeditioners before your coach transfer to the airport or downtown Reykjavik if you wish to extend your stay here in this unique Arctic city.